Richard W. Reid Electrical Company, Inc.
Richard W. Reid Electrical Company, Inc is a full service electrical contractor founded in 1978. The company is proud of the reputation it has attained as a quality service provider in a wide variety of electrical disciplines. 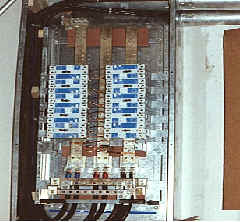 Richard W. Reid and his staff have gained technical experience in areas as diverse as computer power installations, speaker sound masking systems, cathodic protection, grounding systems for delicate electronic test equipment and installation of alarm system and commercial lighting system. Technical requirements are matched with state of the art installations. 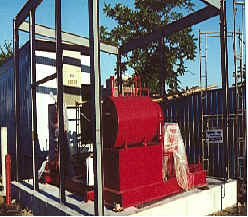 Richard W. Reid Electrical Company, Inc. has an outstanding reputation for completing jobs on time and on schedule, regardless of the difficulty of the task. Problem solving is our strong suit whether the contract consists of remodeling or building new. Let the Richard W. Reid Electrical Company, Inc. provide you with a competitive price on your next electrical project. We are ready to provide accurate and timely estimates along with superior performance. © Copyright 2000 RWR, Inc.